South east off the A488 at Llanfihangel Rhydithon by a church. Follow the road/track up the hill. Park on the side of the track before the barn and walk to T/O on the right. Dolau train station (with connections from Shrewsbury) is half a mile from the end of the track so easily within walking distance – good for if you go XC. Take-off and top landing are straightforward but rotor is likely near the gully to the left of T/O. Bottom landing is very restricted in either of the two fields. You are advised to inspect it before flying. Do not land in the landing fields if cattle are present. 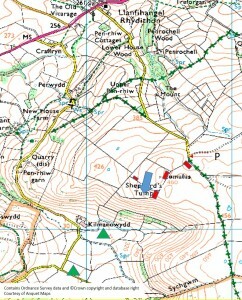 Nothing significant nearby, though Welshpool ATZ could be an issue. Limited experience of Shepherds Tump, but some notes about it. The SSW / SW face is very steep but has a nice rounded top with no trees, bushes, bracken to worry about, and only one fence a long way back, so looks ideal for ground handling as well as the less experienced to practice launching – slope landing would be very technical though. The bottom landing fields often have cows and calves in them – best to go and check them out before you launch as the nearest field is partly hidden by trees and the further one is a long way out. Please don’t use cow fields for yours and the animals sake. There is a very pronounced and tight headed bowl to this hill, and the west facing end of the bowl will work, but suffers with a strong venturi effect. Plenty of space to get blown back though. 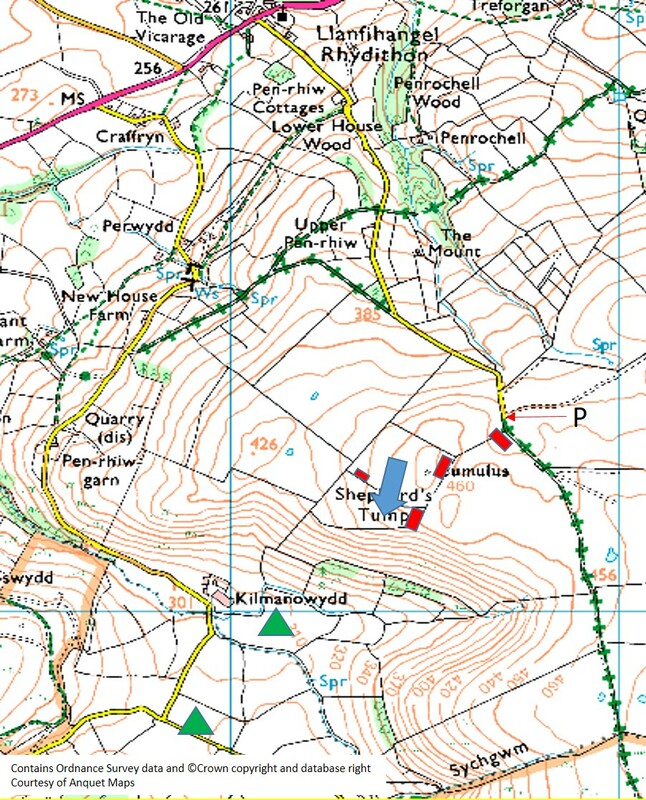 There are a multitude of bowls that will work looking in a southerly direction, some of which are official Mid Wales club sites, so you may see pilots on those – farmers need paying for access I understand. They take a variety of wind directions.